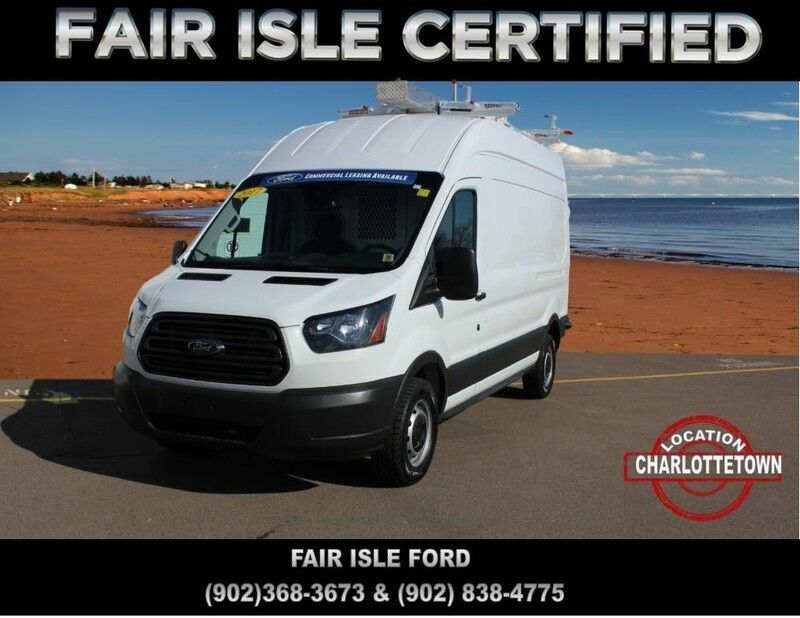 Contact Fair Isle Ford Sales today for information on dozens of vehicles like this 2017 Ford Transit Cargo Van . This 2017 Transit cargo van high roof has been up-fitted with everything that you will need to go to the jobsite with. It has ladder racks, cargo shelves with bins, and a back compartment divider. This Ford Transit Cargo Van is for the discerning driver who demands the utmost of his vehicle. This is the one. Just what you've been looking for. There is no reason why you shouldn't buy this Ford Transit Cargo Van . It is incomparable for the price and quality. Beautiful color combination with Oxford White exterior over Pewter interior making this the one to own! We are PEI largest destination for commercial vehicles, Stop in today and talk to one of our commercial leasing experts.